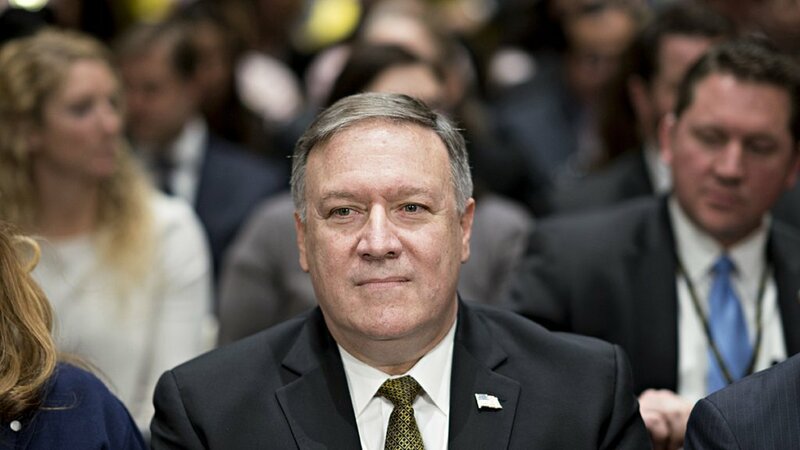 WASHINGTON — The Senate confirmed Mike Pompeo as secretary of state on Thursday despite lingering objections from Democrats who’ve questioned his record of hawkish policy positions and past controversial statements about minority groups. The split vote represents the political scrutiny Pompeo is likely to encounter as he moves from the CIA to the State Department, where he’ll the simultaneous challenges of reinvigorating an agency beset by flagging morale and answering for a president who is prone to impulsiveness. Pompeo, who grew close to President Donald Trump as his CIA director, takes over at State as the United States faces a host of foreign policy challenges. Near term, a deadline looms for extending the Iran nuclear deal and for Trump’s historic denuclearization talks with North Korean leader Kim Jong Un. He’ll have a prominent role also in negotiating the Trump administration’s relationship with European allies and addressing Russian aggression. On the latter, Pompeo has advocated more punitive actions than the president has been willing to mete out. Some will be looking for a return to daily press briefings, which went on hiatus under Tillerson before returning to a pace of twice weekly. State Department employees follow the briefings religiously for statements of policy to guide them. But his earliest tests will take place in the first few weeks of his tenure, on the world stage. Pompeo’s confirmation was hustled to Thursday ensure he would be able to attend a Friday conference of NATO foreign ministers in Brussels as the newly-confirmed secretary of state. The new U.S. embassy in Jerusalem is slated to open May 14. The move, unilaterally decided by the administration, was overwhelmingly condemned in the United Nations. It will fall to Pompeo to make plans to build a bigger embassy so all the employees in Tel Aviv can work there.